Even though we're not the types to check in with Susan Miller before deciding which shoes to wear to work, we're really into Julie Nolan's astrological cuffs. 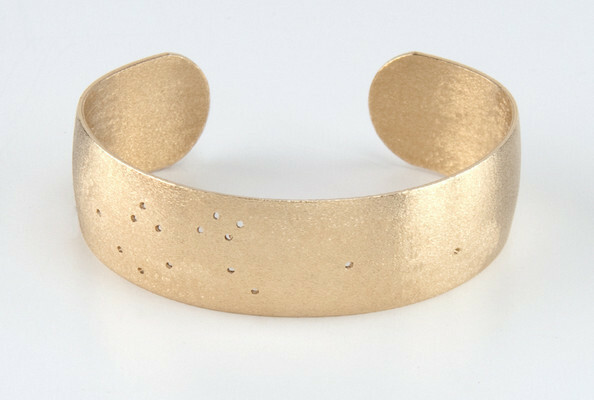 Made from brushed brass and drilled with Zodiac-sign-related constellations taken from a Swiss calendar circa 1900, they make perfect additions to everyday bracelet stacks. Wear your sign or your loved one's, or give them out as just-personalized-enough presents. Julie Nolan Cuff Bracelets, $50 to $70 at JulieNolanJewelry.com.